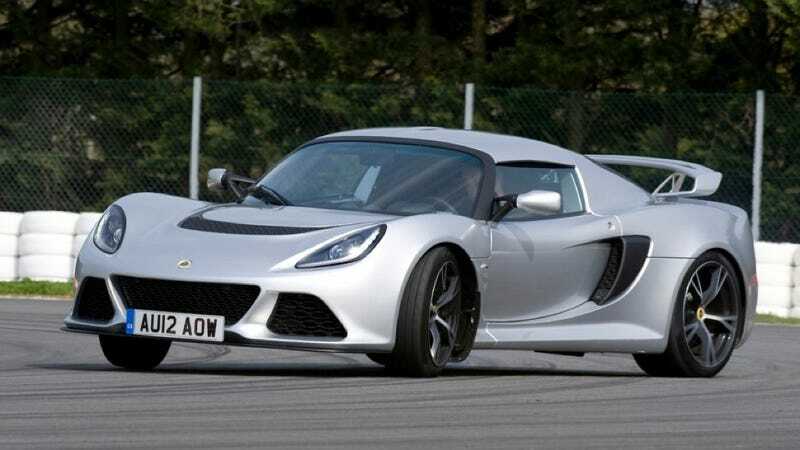 Lotuses are known for having some of the finest tuned chassis in the world. That's all thanks to Matt Becker and his father Roger Becker, who combined have 70 years experience at Lotus, a company that has only existed for 66. That's pretty impressive. But now that era is over, Matt Becker has left the building. Roger retired from Lotus in 2010 after 44 years tuning the chassis on every road car the Hethel-based automaker made. He also did the stunt driving in the car chase for The Spy Who Loved Me. His son, Matt, also worked at Lotus for the past 26 years and is now leaving for an unknown destination. Rumor has it he might go to Aston Martin, which has been on a bit of a hiring spree recently. Thankfully, he isn't being replaced by a 12 year old who just thinks he's good at karting. Instead, 17 year Lotus veteran Dave Marler will take the helm. Hopefully his buttocks are as finely tuned as Becker's.